We've got an amazing selection of designer tops that have just been put on sale. On trend and current, you'll find everything you need here. They are discounted up to 40% off the original retail! You won't believe how much you save. 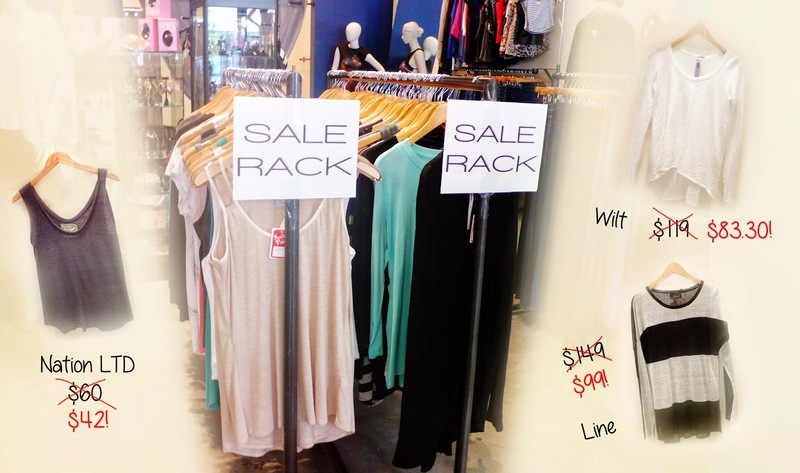 We've hand picked three sale tops that we love! Nation LTD Beaumont Tank Top: Now on sale! This super soft and comfortable top has a relaxed fit body, scoop neck and back, with a baseball hemline. It was $60, now you can get it for $42! Wilt Long Sleeve Slub Tee: What's super soft, casual, and on sale? The Wilk long sleeve slub tee! You're going to love pairing with with your favorite jeans or shorts. It was $119, get it now for $88.30! Line Concealist Top: Now you can flaunt your style and deal hunting savvy when you wear this Line top! It's now on sale for $99, and originally retailed for $149! It's got a delightfully light knit, perfect for those Summer nights.